After nearly two decades at SeaWorld, senior orca trainer John Hargrove still believed in the marine park's mission. "This is the cult-like experience you've been programmed to defend your entire life," Hargrove, now 41 years old and three years out from his job at SeaWorld's Shamu Stadium in San Antonio, told The Dodo. Soon enough, though, something snapped. "You do love those whales, but love is not enough. It doesn't mean that's right, or make the situation OK," he said. "That's where it's kind of sick." Hargrove walked The Dodo through his choice to leave SeaWorld, a company he would once have defended with all he had, in 2012. At 27, Hargrove was pulled underwater by a 7,000-pound orca whale named Freya. Her teeth pressed against his hip bones - he was "a twig in a dog's mouth," at the whale's mercy, he said. When she finally let him float up to the surface, he calmly signaled to the other orca trainers on land to call the paramedics and prepared to be pulled down into the chlorinated water once more. After the orca, who was captured in Iceland in October 1982, released him, he was finally able to escape, thanks to clever maneuvering of the trainers. He describes the harrowing incident in his new book, "Beneath the Surface: Killer Whales, SeaWorld, and the Truth Beyond Blackfish." He describes the day as one that "could have been the end of my life." This wasn't Hargrove's last brush with injury in his long tenure working with orca whales. In fact, perhaps more than many trainers, Hargrove is keenly aware of the safety dangers that one assumes when pulling on the wetsuit. Not only did he suffer multiple broken ribs, fingers, toes and even facial fractures from the strenuous nature of the job, he was once even hit in the back by a 7,500-pound whale. He's quick to point out that these incidents, though harrowing, could not be blamed on the whales. Rather, he said, it's the conditions of captivity, the boredom, the havoc that being in a tank for years on end can wreak on their mental states. 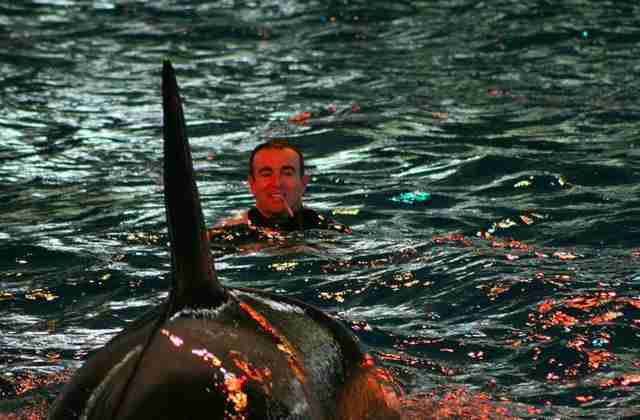 What's more, Hargrove, who also worked at SeaWorld San Antonio and SeaWorld San Diego parks as well as a park not owned by SeaWorld in Antibes called Marineland, watched his colleagues get hurt by whales. He saw one young trainer's arm get snapped in half by a misbehaving whale, and another nearly crushed between a whale and a concrete stage. For two of them, these incidents would end in tragedy. In 2009, an orca owned by SeaWorld named Keto killed 25-year-old trainer Alexis Martinez while on loan to a park called Loro Parque in Spain. "When Brian [another trainer] dove in, Alexis was just on bottom of pool, dead," Hargrove said. 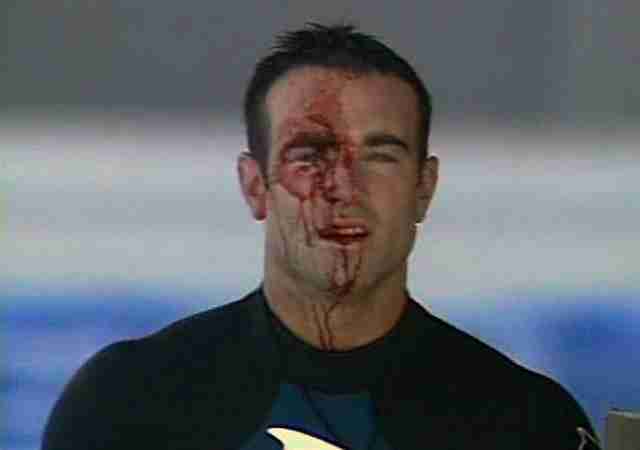 "When they pulled him from the water, blood was coming from every orifice. The autopsy report showed that he suffered massive internal injuries, both his lungs collapsed. [Back at SeaWorld] none of these things were communicated to us." An incident report obtained by The Dodo reveals that SeaWorld was informed about the details of Martinez's death. In its analysis of the incident, though, they did not communicate these to their own trainers, Hargrove said. "I was personally swimming in the water with whales after two days in San Antonio - that was another thing that made me so sick with [former CEO] Jim Atchison," he explained. "In the press he'd say, 'We are such a tight family; we're pulling the trainers out of water for a safety review.' None of that was done with Alexis because they didn't care. There was just no media attention to it." Despite its gruesome nature, few people knew about Martinez's death until dolphin activist Ric O'Barry showed up on Larry King Live in August 2010 and announced the news. Hargrove said that nothing changed after the death of Martinez and that the trainers were back in the water within two days of his death. Now 36, Hargrove experienced yet another colleague's tragic death. 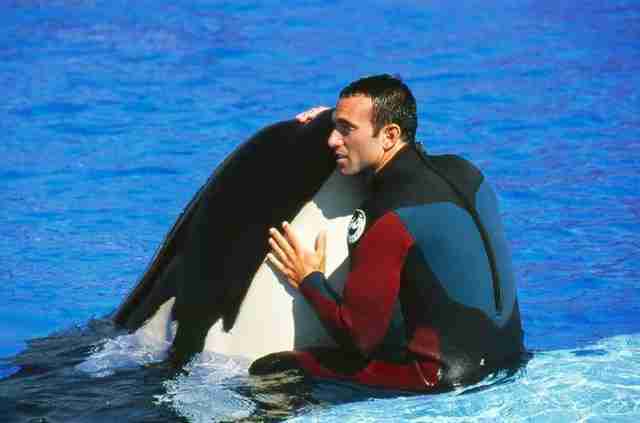 Dawn Brancheau, a fellow trainer had been killed by an orca at SeaWorld exactly two months after Martinez had been killed by an orca at Loro Parque. That incident - and the backlash that followed - would eventually be chronicled in the 2013 documentary "Blackfish." It was also, Hargrove said, the final straw. "During an OSHA [Occupational Safety and Health Administration] hearing, SeaWorld testified in court that they had no knowledge that we [the trainers] had a dangerous job," he said. "At that point, I still believed that they would have protected me. But after that I knew: They'll throw me under the bus in a heartbeat. 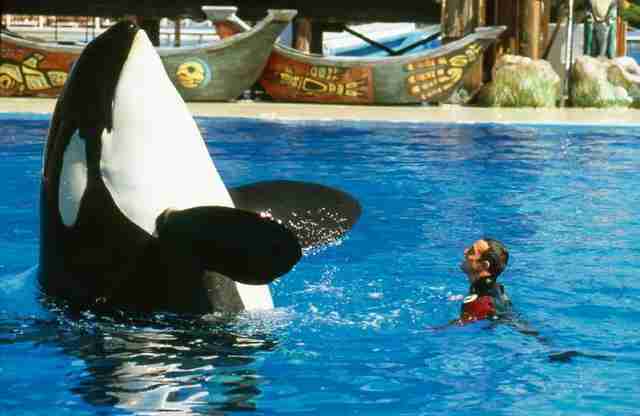 Every passion I had for SeaWorld was completely gone in that moment." Safety hazards aren't the only reason Hargrove questioned SeaWorld and the practice of orca captivity. In his book, he also details the disturbing practices SeaWorld has become known for: withholding food for multiple days and even weeks to keep whales from misbehaving, manually drilling whales' teeth to prevent infections, inbreeding whales and separating mothers and their calves, after which one mother was described as vocalizing into an empty pool for days, calling out for her lost daughter. Hargrove is careful to emphasize that his bond with the captive whales he spent years interacting with was real and powerful, even "some of the deepest and most magnificent relationships I've had in my life." What is perhaps so startling, then, is that he could finally leave all that - and turn on the company he once worshipped. 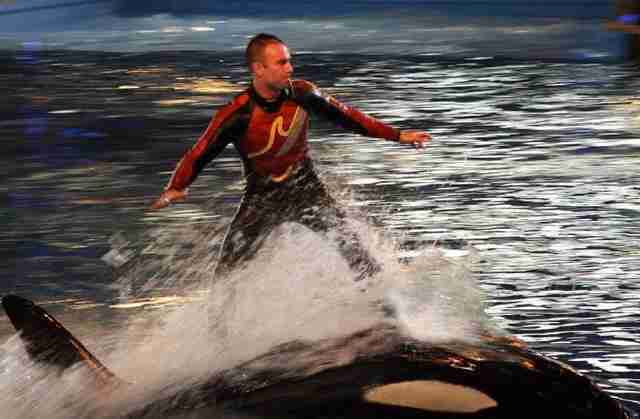 Hargrove left SeaWorld on August 17, 2012. 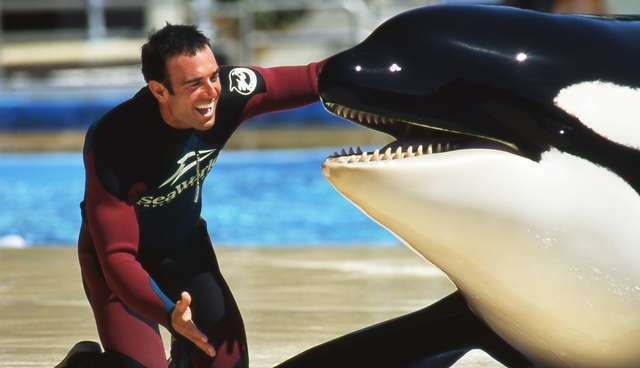 Seven days after he submitted his resignation, he gave an interview for "Blackfish," a film that would blow the lid off SeaWorld's entire existence. His betrayal of his former employer was sparked by the poor treatment he received - but more important, he said, it was for the whales whom he loved. "I was disgusted by corporate greed and the exploitation of the whales and trainers alike," he writes in his book. Since his departure, Hargrove has become an advocate against orca captivity, even testifying in court in support of a bill that would ban orca captivity in California and require SeaWorld's existing orca whales to be retired to seaside sanctuaries. Despite his advocacy, Hargrove is hesitant to say that things will get better anytime soon for the whales he still misses - but he's sure that eventually, SeaWorld will sink. "These people made it clear time and again that they are not going to listen to changing public perception," he said, citing SeaWorld's recently announced plans to branch out to the Middle East and Asia as it loses popularity in the U.S. "They want that money and they want that profit." But he's clear that the evidence is now out and the jig is finally up for SeaWorld. "Their game is over," he said. "If they want to fight all the way to the end, they're not going to win it. They're just going to fight right to the grave." SeaWorld did not respond to The Dodo's request for comment.